Today, each brokerage has its own unique set of needs, wants, and personality which poses a challenge for their marketing teams offering cookie-cutter approaches. Vishu Ramanathan, CEO at Buildout shares with us why Buildout was designed to change the way you market CRE. 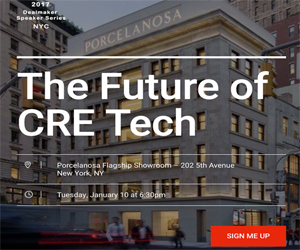 Commercial real estate technology has disrupted the property management sector to such a degree that CRE professionals are struggling to maximize the possibilities at their fingertips. Have you ever wondered how to measure and analyze foot traffic to your retail store? Or how municipalities measure pedestrian safety regarding bike lanes and sidewalks?